rc aeroplane stands for radio-controlled aircraft or plane. It is a model aircraft that one controls remotely, generally using a handheld transmitter that communicates with a receiver located within the aircraft. The receiver will maneuver the plane according to how the joysticks on the transmitter are positioned. Each movement of the joystick affects the orientation of the aeroplane. Currently earning a large audience is the hobby of flying an RC aeroplane. The trend is due to the advent of highly efficient motors, lighter batteries with more power, and more affordable radio systems. These remote-controlled machines are also used by government and military organizations to gather weather readings, for aerodynamic testing and for modeling. Sometimes, these aeroplanes can even be used as drones or spy planes. Scientific organizations also use them for experiments. 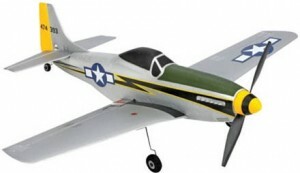 With its increasing popularity, there are now a wide variety of RC aeroplane models and styles available. There are also several types of radio-controlled aircrafts available, depending on your needs for challenge and levels as a hobbyist. For example, a beginning hobbyist can most likely start with park flyers and trainers. Advanced pilots can choose from aircrafts with glow plug engines, or opt for electric-powered planes. Sailplane aircrafts are also recommended for advanced pilots. Expert flyers have more options ranging from jets to 3-D aircrafts, helicopters, pylon racers, and autogyros, and other types of high-end competition aircrafts. There are also RC aeroplane models that look like birds and operate just like birds. “Flying scale” models are replicates of historic and full-size aircrafts. These model aircrafts come either in control-line or free-flight types. These flying models need to be designed following the same principles used to design a full-sized aircraft. This accounts for their difference from most static models on matters of construction. Most remote-controlled planes make use of construction techniques used in vintage full-sized aircrafts, except that RC planes do not usually make use of metal structures. There are also a number of ways to make an RC aeroplane. There are kits that are available commercially. 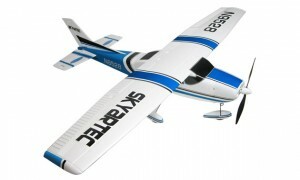 You can choose from ready-to-fly plane kits, almost-ready-to-fly plane kits, and balsa plane kits. Aside from costs, each type of kit varies in construction and assembly. They also vary depending on the levels of skill and experience with remote-controlled aeroplanes. RC planes can be also built from published plans, which often come as full-sized drawings. When you have enough experience as a hobbyist, you can construct your own customized remote controlled aircrafts from scratch.